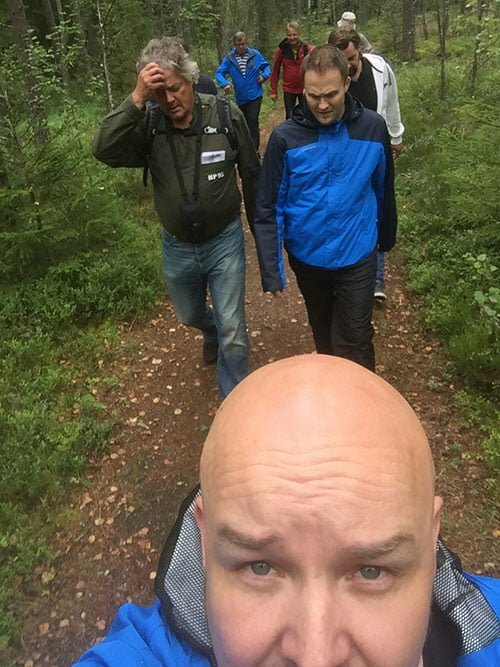 In mid-August, Roima’s “Industry Experts” team gathered together at the Valklampi lake house in Nuuksio, near Helsinki in Southern Finland, for a two-day Roima Workshop and recreation event. The team comprises of just over 10 professionals who, when counted together, have over 200 years of experience of the supply chain, quality, warehouse, logistics, production and maintenance processes in Finnish manufacturing companies as well as of product management and system development. 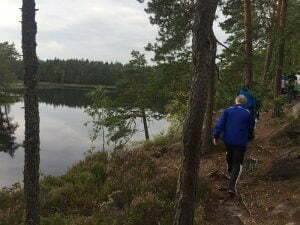 Located in the natural peace and quiet of the Nuuksio National Park in Southern Finland, the Valklampi lake house offered a perfect setting for relaxation and group work in the middle of nature. Built in 1957, the lake house has served as the base and accommodation facility for loggers and horse drivers. 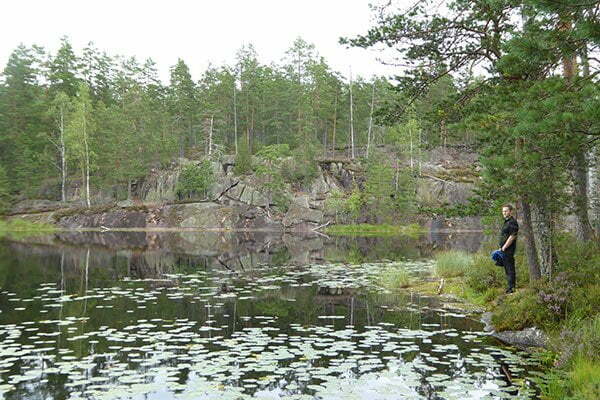 Later on, even the legendary former President of Finland, Urho Kaleva Kekkonen used to spend time there during his elk hunting trips. When we arrived at the lake house, we spent a moment marveling at some old photographs of Kekkonen and his company on the walls. The history and atmosphere of the house resonated with the feel of the wild and brought their own special twist to the event. The overall purpose of the event was to clarify the role of our Industry Expert team in implementing Roima’s strategy and mission. The group work themes and outputs revolved around this important topic, consisting – in Roima Workshops style – of various practical group work assignments while also taking advantage of Roima’s strong competence in the facilitation of workshops. Roima uses the same practical methods in both internal and customer meetings, hence the name “Roima Workshop”. In addition to the Roima strategy, an important part of the event was to increase the team’s knowledge of each other’s competencies and strengths and to brainstorm how the 200-year-long experience of the team could best be used for the good of our customers. As a whole, the event was very rewarding and fruitful, including an appropriate degree of work-related matters, collective recreational activities, jokes and, naturally, good food. We already started planning the next event together, and while waiting for that to take place, we will continue implementing the Roima strategy and mission together with our great colleagues and customers.